Composting is the combining and managing of specific waste materials so that they decompose. Once the materials are mixed together, microbes in the soil will start to breakdown the waste and turn it into the nutrient rich material that helps plants grow. By composting, you are not only creating something that helps keep plants healthy, but you are keeping compostable waste products like food scraps and yard waste out of landfills. 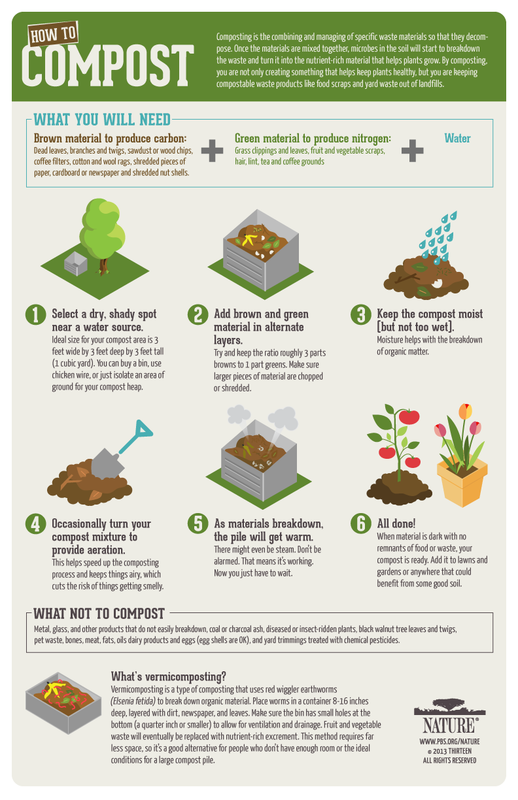 This infographic reviews the dos and dont’s of composting, where and how to compost, what to compost and what not to compost.